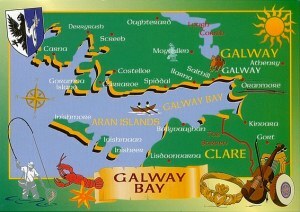 Galway, or the City of Galway, is a city in Ireland. It is located in the West Region and is also part of the province of Connacht. The city takes its name from the Gaillimh river (River Corrib) that formed the western boundary of the earliest settlement, which was called Dún Bhun na Gaillimhe ("Fort at the mouth of the Gaillimh"). The word Gaillimh means "stony" as in "stony river" (the mythical and alternative derivations are given in History of Galway). 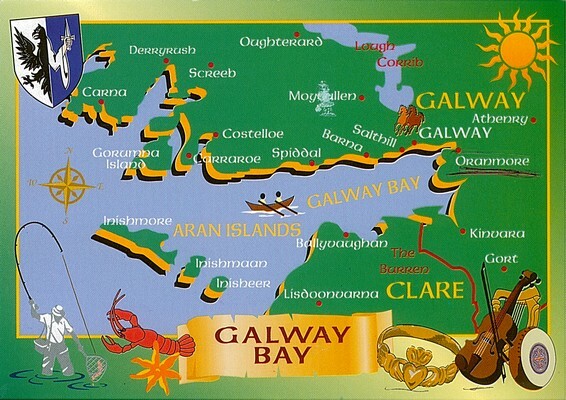 Historically, the name was written as Gallive, which is closer to the Irish pronunciation.